Ones Love is a Veteran’s Day music and art’s festival to benefit scholarships through the Educational Enrichment Foundation. KXCI presents Ones Love this Friday night, 6pm at The Hut. Ones Love features a late night dance party, national reggae bands like Fortunate Youth, Kava Kreation and Kush Kounty, locals Combo Westside, SKITN and The Jits, alongside visual and performance arts. 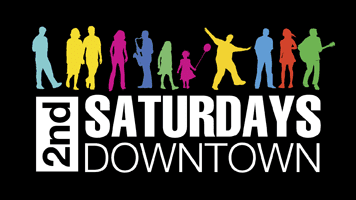 Join us this Saturday for 2nd Saturdays Downtown, now with two big outdoor stages. Performers include Brice Winston, Spirit Familia, Celena Santa Cruz, Planet Jam and Kristen Chandler. The Fox has Up With People, featuring youth from 19 countries, while Beatnik Dream Vacation, Those Beatles Guys and Sticks & Fingers play the Ronstadt Transit Center. The Tucson Pima Arts Council hosts a music and art events with several live performances. Congress will be hopping with car clubs, street musicians, living statues, arts and crafts, food vendors and a magic show. 2nd Saturdays Downtown, this Saturday night in downtown Tucson. Sponsored in part by Your Community Radio, KXCI. 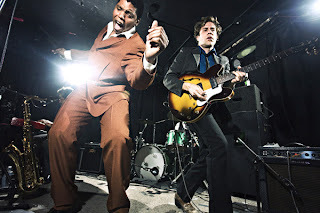 Club Congress and Stateside, welcoming JC Brooks and the Uptown Sound this Sunday November 13th in a KXCI Presents! show. Bursting out of Chicago with and energetic and joyful neo-soul sound, JC Brooks and the Uptown Sound will be stopping in Tucson for an early 7pm concert this Sunday, learn more at HotelCongress.com.